UNLV offensive lineman Zack Singer chose not to go through senior night ceremonies Saturday before the Rebels’ game against UNR. He hopes for an extra season of eligibility to be approved by the NCAA. 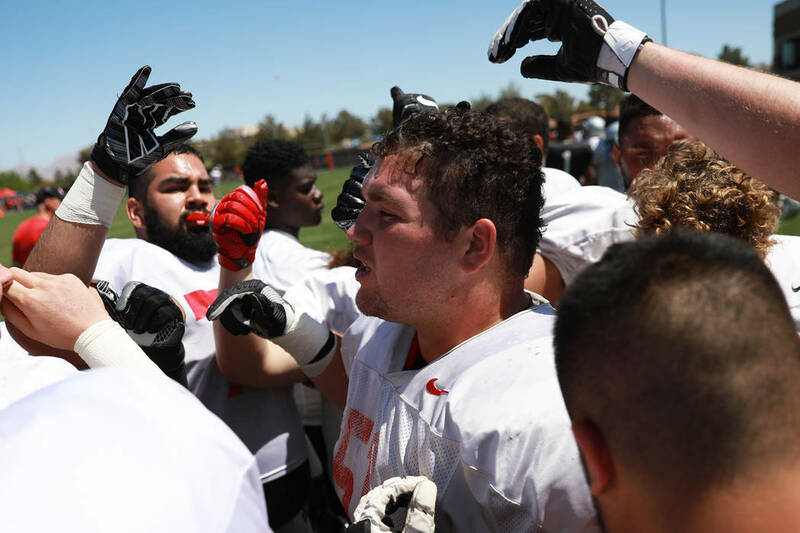 UNLV expected to have 19 players take part in Saturday’s ceremony for seniors before the game against UNR at Sam Boyd Stadium, but offensive lineman Zack Singer chose not to participate. He hopes to play another season and celebrate senior night next year. Singer, who went to Bishop Gorman High School, sat out the 2015 under NCAA transfer rules after leaving Kent State. He started the first three games at center last season before an ankle injury ended his season. Whether the NCAA approves a medical redshirt is a risk. Singer could have taken part in senior night this time and again in a year if it was approved, but now he’s taking the chance on missing out on his only one. 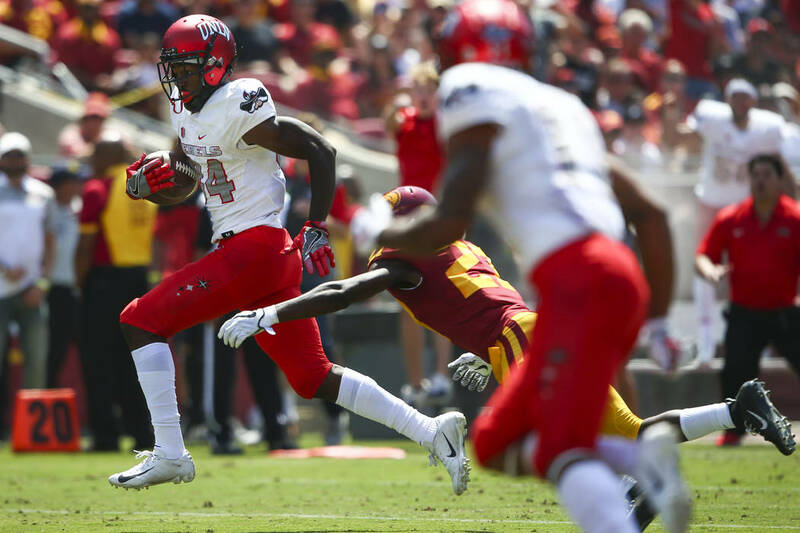 UNLV senior wide receiver Kendal Keys returned to the playing field after missing the previous five games. Rebels coach Tony Sanchez had said Keys was out for personal reasons. Keys’ brother, Kenny, fatally shot himself July 27. Kenny Keys, who was 25, was a UNLV defensive back from 2012 to 2016. Kendal Keys started the first six games and caught four passes for 66 yards and a touchdown. The well-traveled Jay Norvell, in just his second season as UNR’s coach, has been part of many big rivalries. But he said the Fremont Cannon, which goes to the winner of the UNLV-UNR game, was in a class by itself among trophies. For the second year in a row, Norvell brought in former Wolf Pack Chris Ault to talk to UNR players about the history and significance of the rivalry with UNLV. If anyone should know, it’s Ault. UNR had many players stepping up early against the Rebels, including a first-year freshman. Cole Turner made his first career catch a big one. He caught a 24-yard touchdown pass in the first quarterback that gave the Wolf Pack a 14-0 lead. UNR safety Dameon Baber was called for targeting in the second quarter for his hit on UNLV wide receiver Mekhi Stevenson. After video review confirmed the penalty, Baber was ejected. Though he missed the rest of this game, Baber will be eligible to play in the Wolf Pack’s bowl because this foul occurred in the first half.